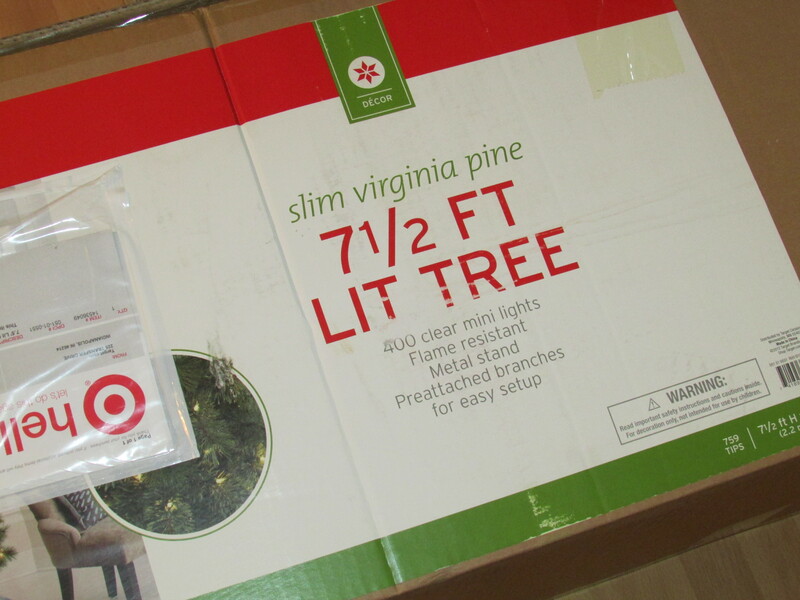 all lit, no fit, snake-free christmas tree | is there any more pie? Posted on December 17, 2013	by is there any more pie? 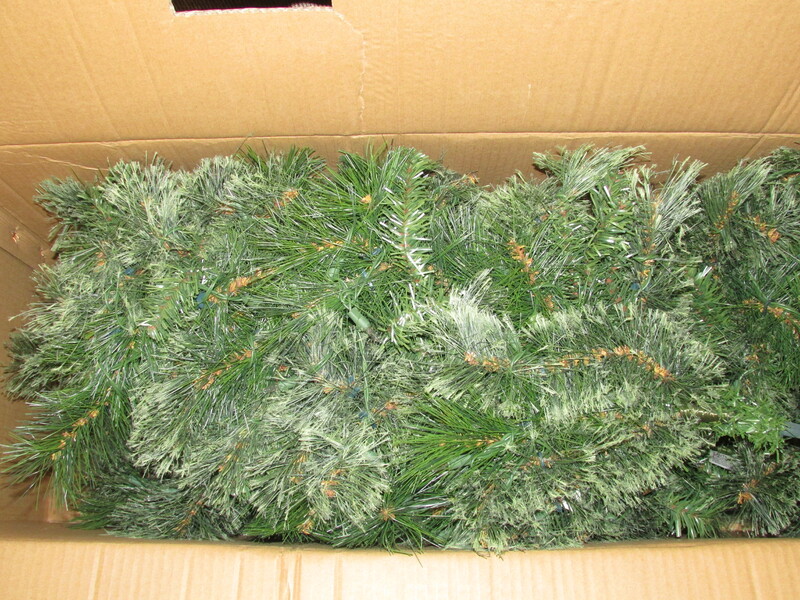 The tree arrived December 3rd. I ordered it from Target. On sale. On line. I didn’t consult Banjo Man, after an unfortunate shopping episode in Home Goods two weeks before. We’d ended up disagreeing over our future tree, which dissolved into a bit of bickering in the Christmas decorations aisle. Banjo Man had come up with a plan he thought was the perfect solution: he would cut branches off trees in our woods and string them with lights himself. Yes, you can laugh. Because that’s what I did. And then he went next door to pick up some groceries and I went into Subway to get a sandwich. The tree discussion was over. No hard feelings. No more weird, creative ideas. I was so excited when I opened the box. Banjo Man: Be careful. Watch out for cobras. Banjo Man thinks anything ordered from China might have a cobra inside. 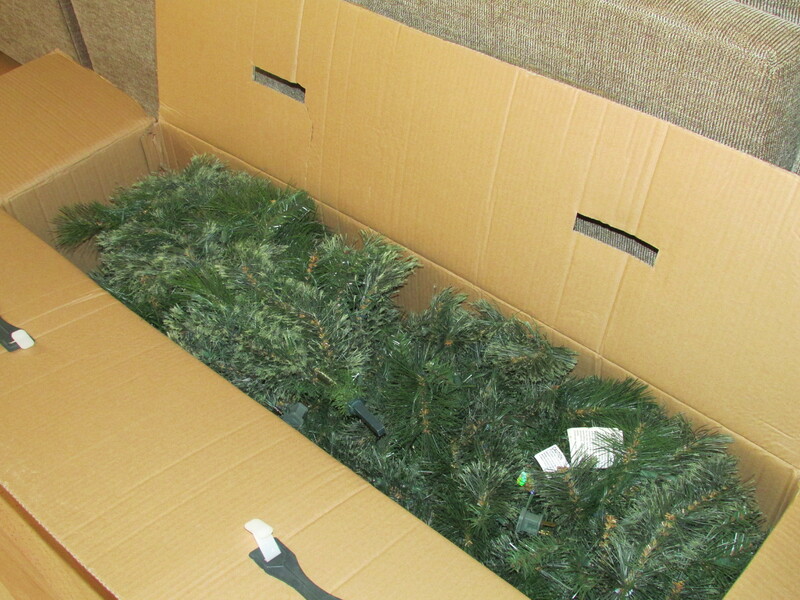 I closed the box and decided to assemble the tree when he was out of the house. He was ruining my Christmas spirit. I’m going for a minimalist holiday look this year. 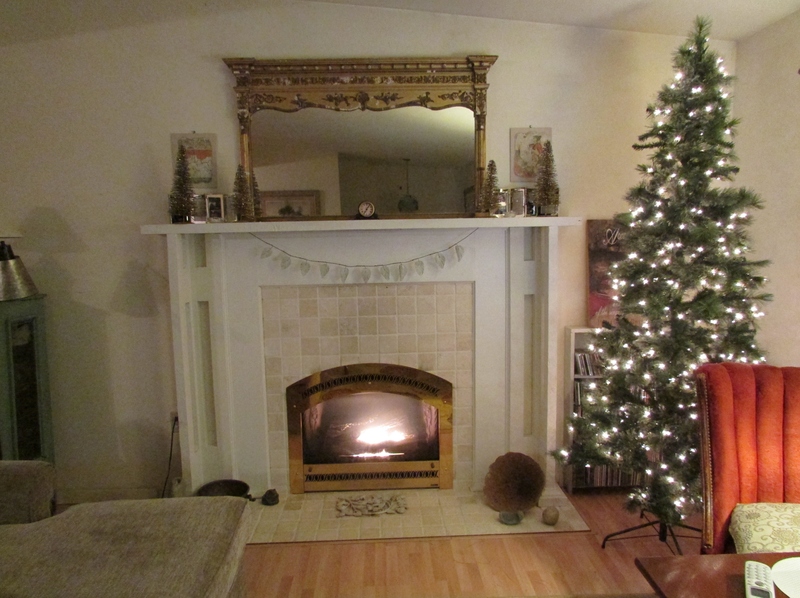 No decorations on the tree, nothing fancy on the mantel. No extra lights, none of Banjo Man’s special lit houses. It’s just us this year, as Sarge is staying in Alaska. I’ll be doing more cooking than decorating, as daughter Nancy loves our special Christmas Eve dinner. Some years the holidays need to be simple. This is one of those years, starting with a simple tree.